But these are just some reasons why prefer organic cotton clothing and avoid cotton grown in a conventional way. But now you will say: "Cotton - such a pleasant material..."
Conventional cotton growing uses almost a quarter of world pesticides and according to the information provided by the World Health Organization (WHO), every year 20,000 people die of pesticide poisoning in developing countries. Have you ever seen a photograph of the hands of a farmer growing cotton the conventional way? Most cotton is grown in developing countries and a huge number of overused pesticides and chemical fertilizers are detrimental to soil fertility. And this, paradoxically, results in even higher consumption of chemicals. WHO classifies up to 40% pesticides used in conventional cotton growing as dangerous. The saddest part is the fact that small children, who are at risk of acute poisoning, are also involved in its cultivation. Dangerous pesticides also pose a threat to drinking water sources, and the social dimension of this problem is also significant. Families of farmers growing conventional cotton at ridiculously low prices often get trapped in a spiral of debt. They need money to buy more and more pesticide, etc. They cannot get out of the vicious circle, and for example, in India, there is a terribly high number of suicides among these farmers. As demonstrated by a 2004 study conducted by the University of Łódź, residues of hazardous pesticides can also be detected in cotton clothes that reach the end customer. Organic cotton is cotton grown without the use of synthetic chemical pesticides, herbicides and fertilizers. Natural methods are used instead of agricultural pesticides. No toxic chemicals are used during the processing and production of organic cotton products. 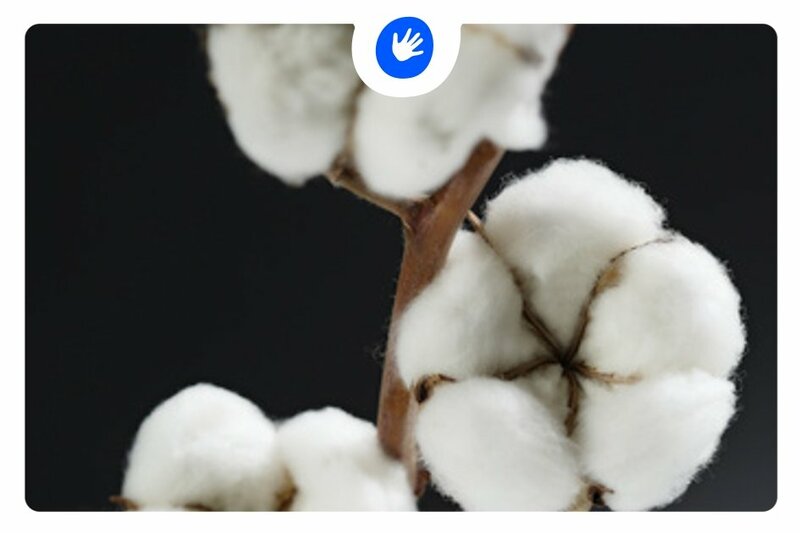 When wearing and using organic cotton products, we are not exposed to the effects of chemical residues and, at the same time, we slightly contribute to the protection of our environment. Organic cotton is often grown in various fair trade projects, whether certified or uncertified, and its subsequent processing, by small companies that take care of ethical working conditions, into the final product of cotton makes you aware of the fact that your clothes or other textiles have not been sewn under unimaginable working conditions in so-called sweatshops, or by children who work very often in such sweatshops.